Horae: ad usum Parisiensem (Paris) [French and Latin]. Paris : [Ulrich Gering and Berthold Rembolt], for Simon Vostre, 8 Sept. 1498. 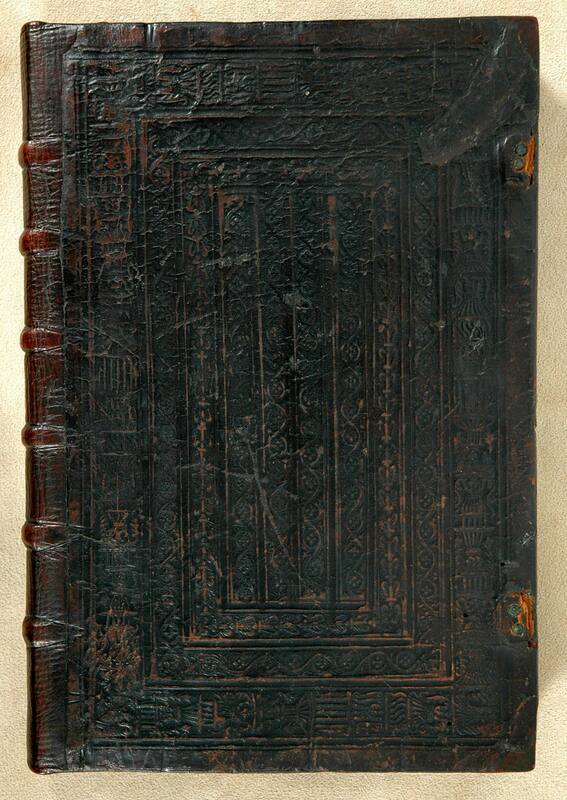 Contemporary brown blind-tooled leather, a French strip panel binding, with gilt and gauffered edges. Rebacked.